The adrenaline seeking, adventurous racers are back with their pockets full of riches as they have successfully completed their tour and proved themselves to be the better among the rest of the racers. 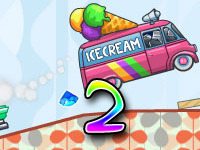 They are back again to face some incoming challenges and difficulties which challenges your skill to the top. 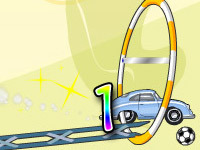 Experience the retro lifestyle as you move along the adventure with these rich racers in Rich Cars 5. Bringing you with more advanced cars with better class and styles, but don’t get too excited, because you are not getting your hands on these just yet, prove yourself once again to get the best cars in the vintage time. Cops are out looking for the criminals of Rich Cars again, make sure you avoid these successfully or else your days of being rich will be over in an instant. 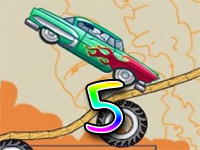 Rich Cars 5 is one of the many sequels of Rich Cars, it includes a fast paced, racing action adventure filled with extreme stunts. Race against time and now with the addition of the ability race against the other racers as well. 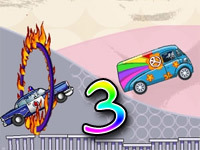 Complete challenges and perform better stunts to unlock and proceed towards the next level. The environment has undergone many changes with the inclusion of different props and obstacles as well as more vintage posters and many different changes in the theme of the environment which suggests the change of the world and its taste. The criminals are ready for some more action and adventure and this time they encounter better cars and richer people with more class in their journey. The world is changing its taste and these people are better and more skillful at this, which is why they are up to the challenge to keep up with the world and be much richer and classier than they ever were. 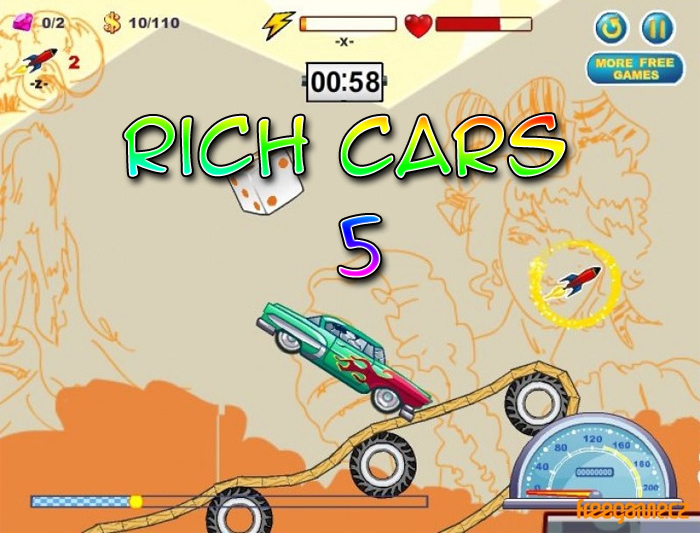 Rich Cars 5 introduces some unique new features and adds an extra flavor to the game. But the game also keeps its similarity between the other parts or prequels as well. 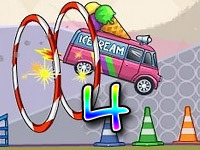 This time the game includes the race between other racers who are competing against you. 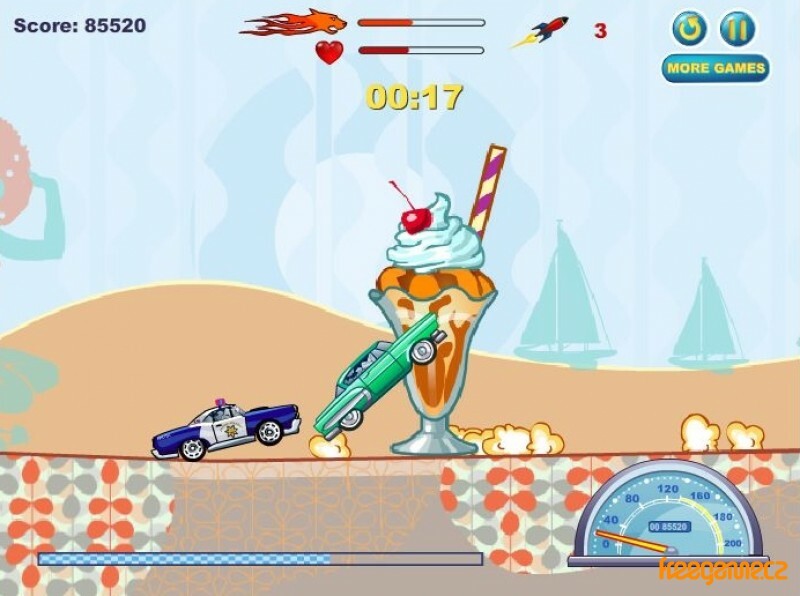 You must reach the top in order to get your hands on the best cars in the world and before you can do that you must beat the best, by defeating the better racers you get to choose and buy different cars and upgrades to increase your performance and as you progress you will face tougher opponents with better cars and better skills as well as the police trying to get their hands on you. And you also get the opportunity to get some more upgrades by doing quests unrelated to the primary objectives. These quests are assigned by some of the great racer friends who are asking for a favor, if you can complete their favor you will be able to get bonuses. These quests or favors can be completed within any part of the game, so always be on the lookout.